I took the family to Hong Kong for a short vacation from 4 November to 8 November. Though it was quite rush but we did have a good time. While we were planning for the trip, the focus was on J and K. It is a child-centered trip though we tried to slip in some other activities. The highlights were Ocean Park and of course the most anticipated place… Hong Kong Disneyland. 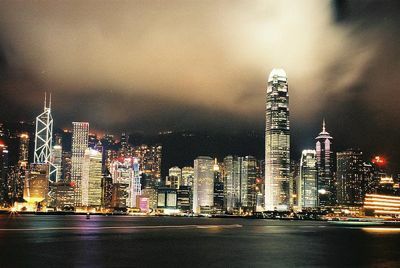 In fact, it is my first trip to Hong Kong though my wife has been there before. Another exciting point was we managed to catch up with my wife’s friend and her family – whom she last met about 10 years ago. They spent one whole day with us. In Hong Kong, it is extremely easy to move around with its reliable, comprehensive Mass Transit Railway (MTR). Without doubt, Hong Kong has earned my trust in public transport. Even though we did a lot of walking, the kids were coping well and their complaints were manageable. Below is what we did during our Hong Kong trip. Partly as our travel log, and partly also if you are going there one day, feel free to steal some ideas here. After the list, you’ll find some quick traveling tips to Hong Kong. These might look nothing but they can make your stay in Hong Kong easier and more comfortable. It is an unwritten rule in Hong Kong that one should stay on the right of escalator to make way for fast walkers. Octopus Card. Hong Kong’s super amazing product. We used it for our all transportation needs. Also widely accepted for purchases at participating shops. Buy Ocean Park tickets at Admiralty bus stop to avoid long queue at the main entrance. Pay attention to the weather forecast. You can have forecast for 7 days in advance. They are highly accurate. Bring an umbrella (or buy one) if it is rainy. You don’t want to mess around as the rain can last one whole day or two. Get a local SIM card for your phone from outlets such as 7-Eleven. Besides saving roaming costs, you can make and receive calls easily just like the locals do. Traveler adapter. I used to search high and low for the type of electrical plug being used for the country I am going to. But with this amazing website that lists down all socket types for every country in the world, it has become my only reference point when I want to find out which traveler adapter I need to bring during my travel.